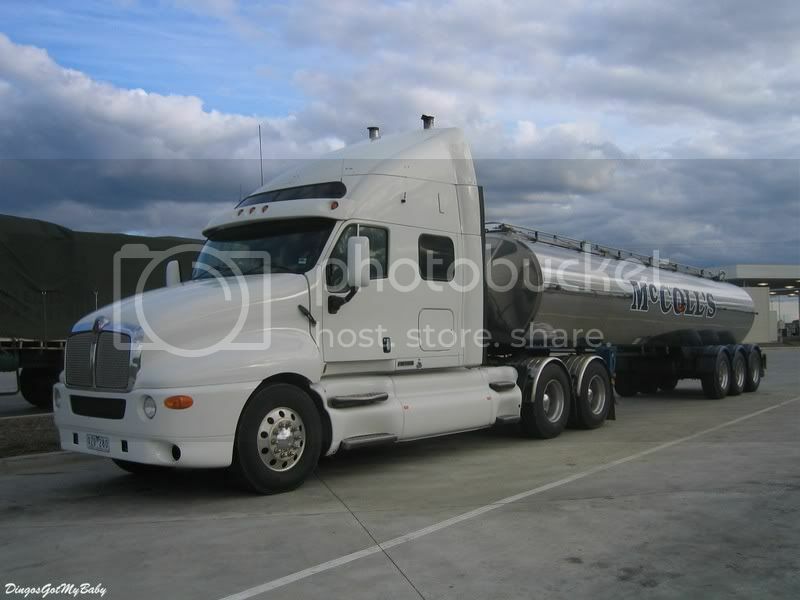 The main problem with the T700 was that it only came in one sleeper configuration, much like the T2000 it replaced. The T2000 came with what I guess you'd call a mid-roof configuration (along with what I'm assuming was a "condo" raised roof), and there also was a small bunk version. A distribution fleet out of Youngstown ran these, then they ended up pulling dump trailers. They were stripped down and about the ugliest trucks you ever saw. That's interesting Jan, I never realized there were not separate mid and raised roof versions. If I come across one of the small bunk shots I'll post it. I know this is an old thread, but I feel like writing my two cents on this model and a lot of it has to do with how things are with the T680 a couple years after its introduction. Oh, and my apologies for the length on this. This is not because I dislike the way they look; in fact I think the T680 stacks up pretty well against its direct competition in the styling department, at least to me. What I don't like about it has more to do with the politics behind it. It and the 579 have been very successful for PACCAR, which is great for PACCAR of course, but as a truck enthusiast that's actually part of the problem why I don't like it. My problem is that it has essentially replaced the 386, T700, 587, and T660. Yes, the latter two are still in production, but they seem to be selling very slowly so it's only a matter of time until they're discontinued. 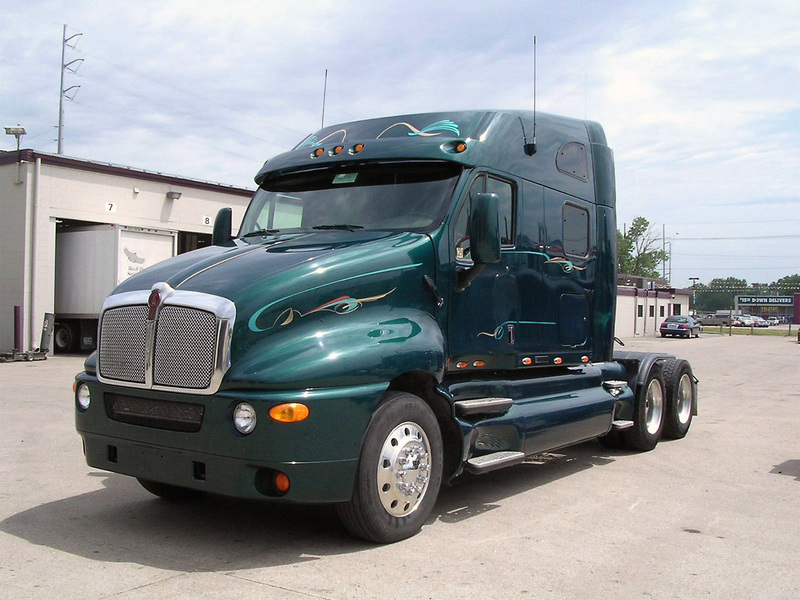 After looking through pictures on this site from about 2012 onward, I could see a trend in fleets, usually based in the western part of the United States, that run sharp trucks and generally take pride in their equipment, shift from other models, especially the 386 and T660, to T680s and 579s. Yes, the T680s and 579s still looked good and were interesting to catch when companies were just starting to buy them, but now they seem to have really overtaken those fleets as the fleets are continuing to push for better and better fuel economy. I guess to summarize my problem with the T680/579, they're too mainstream, too successful, and as a result have pushed other truck models (which had not even been on sale that long) out completely instead of both selling alongside each other for years in reasonable numbers. I think part of the reason the T680/579 have been so wildly successful is, for one, competitive fuel economy, but also that it's a sort of jack-of-all-trades (perhaps master of some of them, too) for a non-vocational Class 8. They each seem to have a bazillion different sleeper size options, plus the fact that whether you want an LTL daycab, bare-bones short-hood sleeper, or slick Western-style truck with plenty of chrome, those models have you covered. By comparison, the 386 and T660 did have some various options but not quite to the extent of the new trucks; there is such a thing as a 587 daycab but they're extremely rare, and most 587s are condo sleepers; the T700 only came with one hood length and sleeper size. Obviously, the T680 and 579 make great business sense for PACCAR, and (unfortunately) they'll probably still enjoy about 10 more years on sale after I'm writing this. Ultimately, I think the other trucks just had more character and I personally find the situation I've been rambling about a sad one. When the competition is slim in general, there is no need to have options. 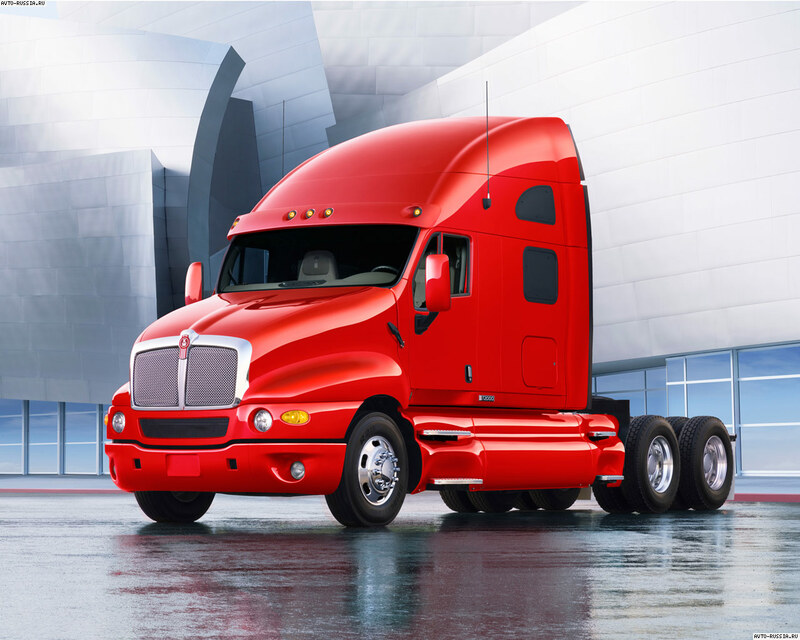 There are four big players in the Class 8 truck market in North America right now, Volvo, Daimler, Paccar, and, barely hanging on, Navistar. With the EPA regulations and fuel economy savings their current models support, they all found a formula and are sticking to it. Not to mention, they can sell them at super high prices. I did not realize the T2000 came in a smaller bunk, and I completely forgot about the midroof, even though I have seen them set up as tankers before. Apologies for the incorrect info! The Kenworths... look really ugly, especially the short and tall bunk. Sorry, no offense. Wouldn't this be similar to a monopoly group like OPEC? Just curious by what you are saying. I do this out of sheer enjoyment and curiosity, not looking for a used truck but would consult you guys if I ever wanted to be an O/O. But still, really? 2012 International Maxxforce for $35,000??? There's a huge discrepancy here. Those Prostars are overpriced by about 30,000 we bought one 2 years ago where I work and it spent 4 months in the shop the first year we had it not bad considering most of the company only works 9 months out of the year. The max force engine was a disaster, and the early ISX was not much better. The N14 and Detroit series 60's we run give the least amount of trouble. Like a lot of people, I love the Paccars. But my least favorite out of all their rigs are the T2000's and the 387's. They both look bloated and ugly. I don't like the Prostar much better but I think the Prostar looks better than the T2000's/387's.